The appearance of PolyJet & SLA 3D printed parts can be improved by sanding and painting. Most resins used by SLA and PolyJet printers are acrylic based, meaning they post process very easily. This guide breaks down the steps required to produce smooth parts in any color you desire. To ensure a consistent finish, paint by sweeping the paint can horizontally and vertically past the object. If you are painting from left to right, then begin spraying to the left of the object, sweep the can along the object, and continue spraying until you are past the object on the right. Spray a test onto a piece of cardboard test before commencing painting. This will help clean any debris from the nozzle. You may need to adjust the distance between the can and the object to obtain the most desired spray pattern depending on the paint being used. The quality of your final part depends on the quality of your sanding. Spray painting produces a smooth surface which tends to reflect light and make surface blemishes very apparent. To ensure a smooth painted finish you must start by properly sanding and priming your parts. Sanding is the most important step in the entire process, requiring the most amount of labour. PolyJet & SLA parts come out of the printer with a relatively smooth surface, however they may still require some hand sanding to remove support blemishes. We recommend starting using lower-grade 320 grit for initial sanding of the support material, and use finer pieces of sandpaper to smooth the part surface and get it ready for priming. Defects in parts should be sanded out in this stage as much as possible, otherwise they will become more noticeable after the paint is dry. Minimize visible stepping in parts as much as possible by sanding against the grain. You will need to apply a few coats of primer to ensure that your part is ready for painting. Follow the instructions on the spray paint can and apply the spray in a sweeping, consistent motion. You want to avoid applying too much primer to one location, while also ensuring that all of the part is coated. It typically takes at least 3 thin coats of primer to fully cover a surface. A black primer is ideal for painting with darker colours, while white is ideal for lighter tones. Begin by applying one coat of primer and letting it dry completely. Priming will highlight areas where the part may require additional finishing. Using 1000 grit sandpaper, lightly sand the model between coats of paint which will help to further refine the surface. Remove dust and polish with a microfiber cloth. This is recommended after each additional coat of primer. Be sure to let each the final coat of primer dry completely before moving each coat. Rinse the model with water and dry before moving on. If defects become apparent during this stage, you will need to go back to the sanding and repeat steps 2 and 3. Between coats, remember to buff and polish the paint surface. This maintains a smooth surface that will look glossy under the final clearcoat. While more coats will make the paint more durable, be careful not to add to many coats as it can affect clearances on mating parts. More is not necessarily better. Stereolithography & PolyJet materials are compatible with most plastic coatings, such as acrylics and lacquers. Select a UV resistant final lacquer-based clear coat with the desired finish, either glossy, semi-gloss or matte to further increase the longevity & wear resistance of your finish. 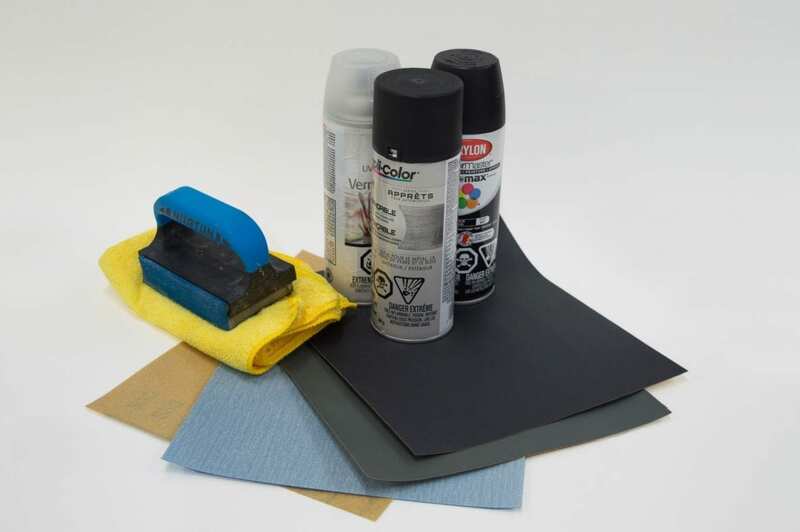 Using one of these coatings will give your printed part either a consistent finish in either as well as provide additional protection against scratches, chips, and other marks.